Age: There is an age criteria for the approval of personal loan. The minimum age requirement for availing personal loan is 21 years and maximum is 60 years. HDFC Bank offers personal loans for a maximum period of 60 months. 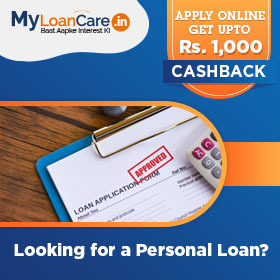 Net Income : Your net income required to avail personal loan is Rs. 15,000 per month. Your eligibility is majorly determined by your income (Net take home salary).Your capability of paying EMI’s is judged on the basis of income earned as your loan EMI’s are not affecting your living standards. 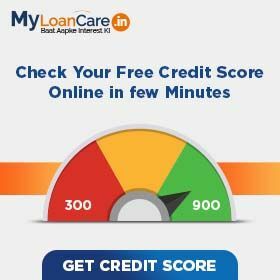 FOIR : FOIR (Fixed Obligation to Income Ratio) is an important parameter that HDFC Bank uses to find out your HDFC Bank personal loan eligibility. HDFC Bank takes all your fixed obligations (like rent or current EMIs) into account while estimating your eligibility. Minimum FOIR required to be eligible for personal loan from HDFC Bank is 0.45. Calculate and compare your eligibility with HDFC Bank personal loan calculator and apply online for eligible loan amount hassle free. Co-applicant : Adding a co-applicant increases your eligibility for personal loan as it increases your repayment capacity. Ensure that you add a co-borrower who has good income flow, limited fixed obligations and a strong credit score. Illustration- Mr. A who is 25 years old has a net income of Rs. 15,000. He wants to take a personal loan of Rs. 1 Lakh for 60 months. HDFC Bank allows a maximum FOIR of 0.45. Based on the information provided by the applicant, bank will calculate his eligibility using eligibility calculator. With a salary of Rs. 15,000, the maximum amount for which he is eligible is Rs. 3.09 Lakh. The interest he has to pay for this amount for 60 months is 11.25%. Residence place and stability – Banks are very particular about the residence of the borrower. There are few areas which are considered negative by the bank. HDFC Bank has a pre decided list of area in which the bank will lend. The bank also has a negative list area of locations in which it will not lend depending on the past credit behavior of borrowers from such localities. HDFC Bank also gauges your residential stability by checking on the number of years since when you have been staying in your current residence. If you are staying in your own residence, it definitely improves your chance of getting a loan from HDFC Bank. Minimum residence stability to be considered by the bank is 12 months. What are the eligibility criteria to avail HDFC Bank loan? The minimum age of the applicant required to get personal loan from HDFC Bank is 21 years. The maximum age for salaried employees can go up to 60 years. What should be the minimum net monthly income of the customer to get HDFC Bank personal loan? The minimum income for salaried employee should be Rs. 15,000 per month. How much work experience is required for personal loan from HDFC Bank ? The applicant must have at least work experience of 12 months in order to avail the benefit of HDFC Bank personal loan. What is the maximum loan amount an applicant can get? The maximum loan amount an applicant can get under personal loan from HDFC Bank is up to Rs. 50 Lakh. Will CIBIL Score affect my personal loan from HDFC Bank? Yes, CIBIL Score does have an impact on your personal loan. A good score indicates good repayment record and hence most banks avoid giving loans if you have low credit score. The minimum CIBIL score for personal score is 650 and above. Private sector lender, HDFC Bank has been identified as number 1 bank by customers in India, as per Forbes World Best Bank survey. Forbes has partnered with market research firm Satista to measure the banks in 23 countries. The survey conducted by them was quite unique as it did not measure the financial performance of the bank, ignoring balance sheets and P&L statements in favour of customer opinion. The lender also has plans to achieve a significant across its retail loans including personal loans this year. HDFC Bank is planning to scale up its banking business by using artificial intelligence in each and every banking procedure. The bank had already launched its AI-powered chatbot, EVA which answers basic customer queries related to loans including mortgage loans and personal loans and other bank products. Now, the bank will also use AI for processes such as underwriting, credit score and for credit card payment checking. Private sector lender, HDFC Bank has been named as the ‘Best Digital Bank’ in India at the AsiaMoney Best Bank Awards 2019. The bank has been awarded this title on the basis of its best-in-class digital banking initiatives. The lender has launched many schemes for customers which became their favourites such as the 10-second Personal Loan, Custom-Fit Auto Loans, Digital Loan Against Securities, Digital Loan Against Mutual Funds, and PayZapp. One of the leading private sector lenders, HDFC Bank has crossed the Rs. 6 lakh crore-market capitalisation mark, becoming the third company after Reliance Industries and Tata Consultancy Services. The bank’s steady profit growth of 20% quarter after quarter as well its capability to tackle bad loans have helped the bank achieve this mark. The lender also has plans to achieve significant growth across its retail loans segment including personal loans, loan against property and gold loans. In a bid to mark the completion of its 25 years in India, leading private sector lender, HDFC Bank has opened its 5,000th branch. The new branch was opened in MIDC, Andheri, Mumbai and was inaugurated by the MD of the bank. The lender also has plans to achieve a significant growth across its retail loans portfolio including personal loans and car loans.